Does the production process affect the quality of protein powder supplements? Recent research published in the LWT – Food Science and Technology discusses how the quality of protein supplements can change during the manufacturing and storage process. Dietary supplements are becoming increasingly popular among amateur athletes and professionals.These supplements are used for various health reasons, including weight loss, building muscle mass, improving strength results and many more. 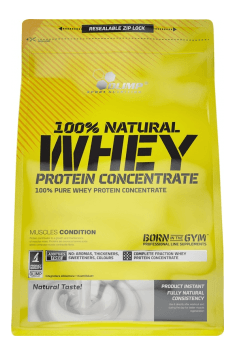 Sports supplements, such as powdered protein, are the most commonly used dietary supplements, especially among gym enthusiasts.Athletes use protein powder supplements to meet dietary needs and maximize performance during training or competition. Protein is an essential nutrient for the development and maintenance of tissues, such as muscles.Different types of powder proteins are designed to support the development of muscle in the body.Powders are usually based on whey and casein proteins, although there are other sources of plants and animals. Most protein powders are heated or filtered during the manufacturing process to separate and concentrate the protein.The powders are then dried before being placed in the warehouse.Treating proteins with heat treatment may cause them to denature or decompose, making them inactive.This process has led to disputes regarding the claims of producers of these products.Recent research conducted by AJ Sánchez-Oliver from the University of Seville inSpain has looked at how the production and storage of protein powders affects their nutritional value. The authors analyzed 52 commercial powdered protein supplements.The samples reflected all types of proteins available on the market.They analyzed each sample for the content of blocked lysine, representing the form of lysine, which the human body is unable to use.For this purpose, the authors calculated the content of furosine and total lysine in each of the powders. Lysine is an amino acid (building block of protein) necessary for proper growth and development.It is not produced naturally in the body and must be obtained from dietary sources or supplements. Furosin is widely used as a marker to measure the effect of heat treatment on the nutritional value of dairy products.Higher content of furosine means that the product was treated more intensively with heat and less active lysine is available.By analyzing the amounts of furosine and total lysine, the team determined how many blocked lysine was in each sample. The results – published in LWT Food Science and Technology – showed that half of the tested protein powders had more than 6% of the blocked lysine content, while only 9% of the samples contained more than 20% of blocked lysine.Whey hydrolysates and peptides had the highest thermal damage, with an average of 12% of blocked lysine content;whey and casein isolates had the lowest blocked lysine content. The authors also noted that supplements with a higher protein content have a smaller amount of carbohydrates (sugars), which indicates less thermal damage.They concluded that the value of carbohydrates could be used to indirectly measure the amount of product damaged by heat treatment during production. You can read also: How much protein in the protein? Surprising facts!